The number 30 is generally scary for someone who has yet to reach that milestone, age-wise. For me, however, it's never really been that scary. I know that I'll turn 30 in a couple years. Meh, no big deal. But this morning the number 30 kinda scared the dickens out of me. Our baby boy is now 30 weeks old. That means there are only 10 weeks left until he is born. If he is born exactly on time. There may be less (or possibly a little more, but I don't think so). 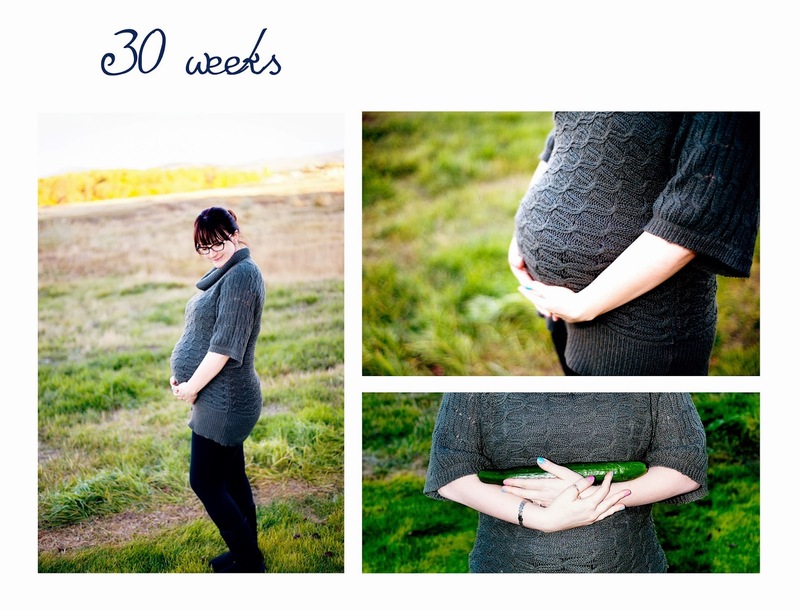 For those of you not too keen on math, that's a little over two months until he is here. I'm not going to lie, that caused a little bit of a panic attack this morning. There is so much left to do. I'm so thankful for our baby shower and all of the wonderful support we received from friends and family. Many of the large items we need are taken care of now, just need to be set up. But I still feel like there a thousand lose ends to get ready. I suppose this is partially (totally?) because I am a first time mom and have never experienced this process before. But, as a good friend pointed out to me this morning, I am a planner. I like to have schedules and agendas and a good sense of what is going to happen in the near-distant future. And that is difficult, to say the least, when you add a new, completely uncontrollable element (like, for example, a baby). So right now I am focusing on taking deep breaths and TRUSTING that everything will be okay. We’ve talked a lot about trust in our childbirth class (going to blog about that next week after our final class) and I just need to keep reminding myself to do just that. In the mean time, here are this weeks stats. Our baby boy is now almost 16" long - the length of a cucumber and weighs in at around 3 pounds. He responds to light, but his vision won't fully develop until after he is born.